Over the past year, we’ve reported on an unfortunately large number of security breaches at major banks and retailers. Fresh off the hacking of Target around the 2013 holiday season that resulted in thieves stealing millions of credit and debit card numbers, we learned that Neiman Marcus fell victim to the same scheme. In September, cybercrooks made off with 56 million payment card numbers from Home Depot. Even megabank JPMorgan Chase proved vulnerable to attack, leading to over 80 million household and business accounts being compromised. If those giant numbers aren’t enough to put the problem in perspective, a new poll of 1,000 adults shows just how deeply the U.S. has been impacted by these nonstop hackings. 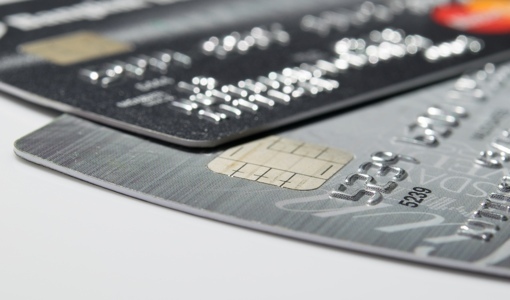 According to the The Wall Street Journal and NBC News, 45% of Americans have been notified by a credit card company, financial institution or retailer that their credit card information has possibly been stolen as part of a data breach. The good news is that some amount of relief may be on the way. Merchants across the country will be implementing a new chip-and-PIN credit card system in 2015, making credit card signatures obsolete. And the new Apple Pay mobile payment system is designed to keep your card data away from retailers entirely. Hackings will still happen, but these new anti-fraud measures should take a significant bite out of crime. If you suspect that criminals have been using your accounts, it’s important that you notify the cards' issuing banks as soon as possible. You should also make a habit of checking your bank accounts and credit report for suspicious activity. Each American is entitled to review their credit reports once per year for free by visiting annualcreditreport.com. You might also want to check out the free TransUnion credit reports being offered by Credit Karma and the free identity theft protection available through Credit Sesame. For more information about what to do when your personal data is stolen, visit the Federal Trade Commission’s online Identity Theft Consumer Information Guide.